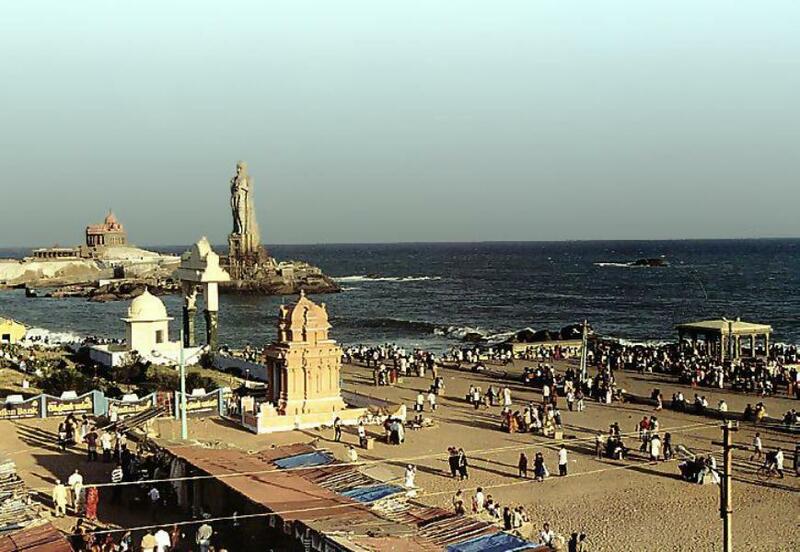 The Kanyakumari temple is a popular pilgrimage place. The sand at Kanyakumari is seven different colors. 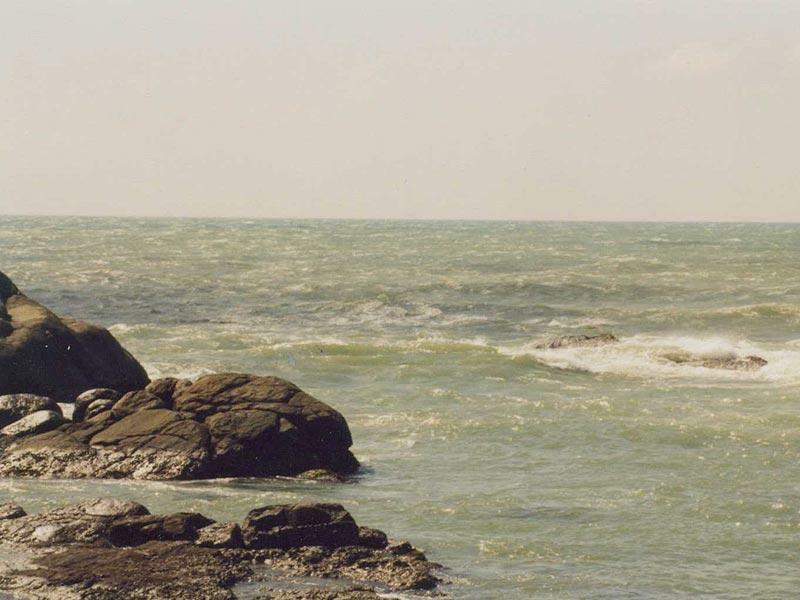 It is said that Lord Siva married the goddess Parvati here, and the seven different colors of rice thrown at the wedding were turned into the seven-colored sands of Kanyakumari. The beach here is not so suitable for swimming. Kumari Amman Temple Located on the shore is the temple of the goddess Kanya (the virgin goddess), who is doing penance. The sage Parasuram is said to have installed this deity. The history of this temple is that the demigods prayed to the goddess, an incarnation of Parvati, to destroy the demons. Soon after appearing, she was betrothed to Lord Siva. Knowing that if she married she would lose interest in killing demons, Narada Muni tricked Lord Siva so that on the way to the wedding he turned back home to Kailash. So after destroying the demons, the goddess, a most charming deity to see, still waits in her temple for her husband to arrive. Sri Chaitanya visited this temple. The deity of the goddess Kanya wears a brilliant diamond nose ring that is said to emit a powerful ray, which makes ships crash against the rocks near the shore. 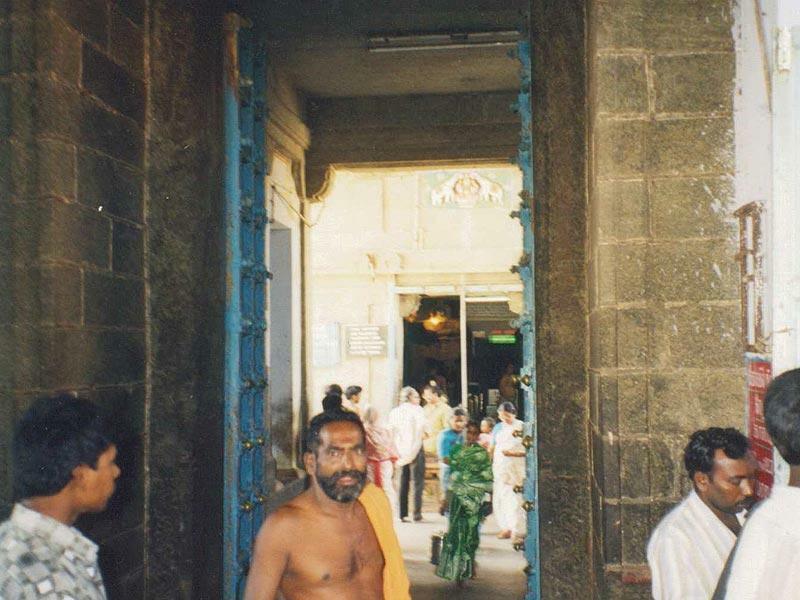 Therefore the seaside, eastern gate, of the temple is only opened on special occasions.